This week's bundle brings us all the feels of Christmas baking. We are highlighting a sweet recipe card print and a music print from Holly Jolly Christmas by Robert Kaufman. Colors are cream mixed with traditional greens & reds. 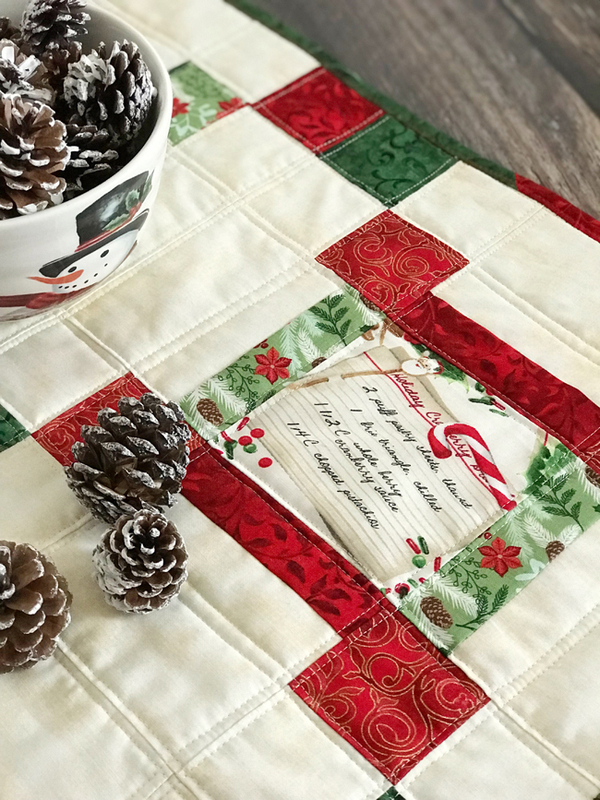 Who is ready for Christmas sewing?! I am!! 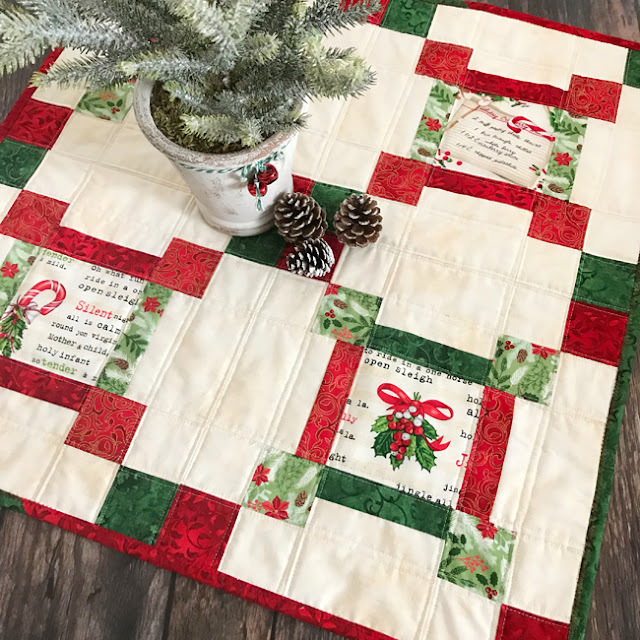 Now is the time to start all your Christmas projects! 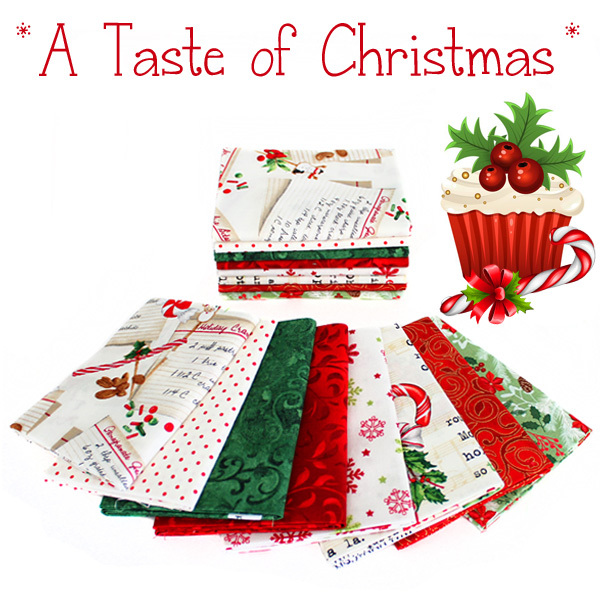 I love today's bundle of fabrics - you can't go wrong with the traditional red and green for Christmas! With today's bundle I made a sweet little table topper! 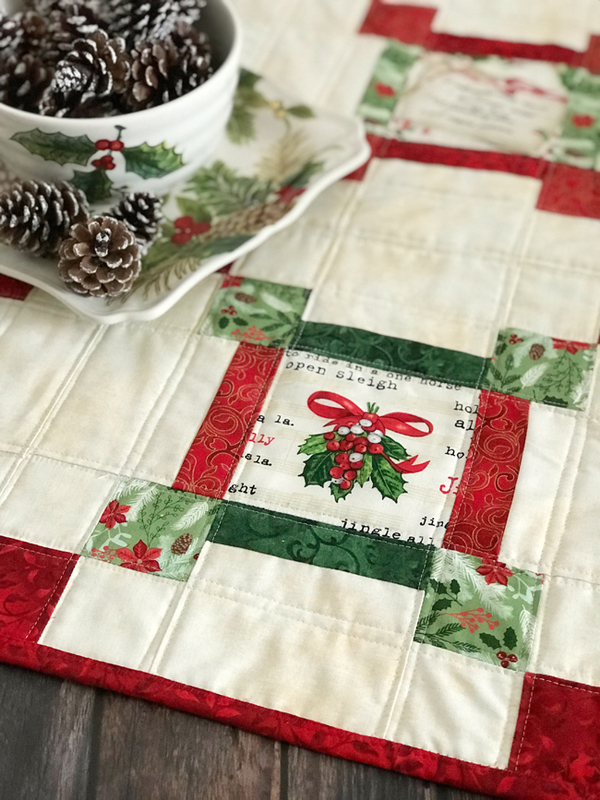 I used Jera's new book, Quilt As You Go Made Vintage - to make this project! Quilt As You Go Made Vintage Book - I used block 6 in the book, which is on page 75. The block I used is perfect for those larger cream prints in the bundle! They work perfectly in the center of these blocks. I made my topper with four blocks, but you could easily make yours larger by adding more blocks! I used the left over pieces in the bundle for binding and backing. We love these fabrics so much, we have coordinating Tea Towel kits to go with it! I can't tell you how great these tea towels are for gifts! Your friends, family or neighbors will LOVE these! 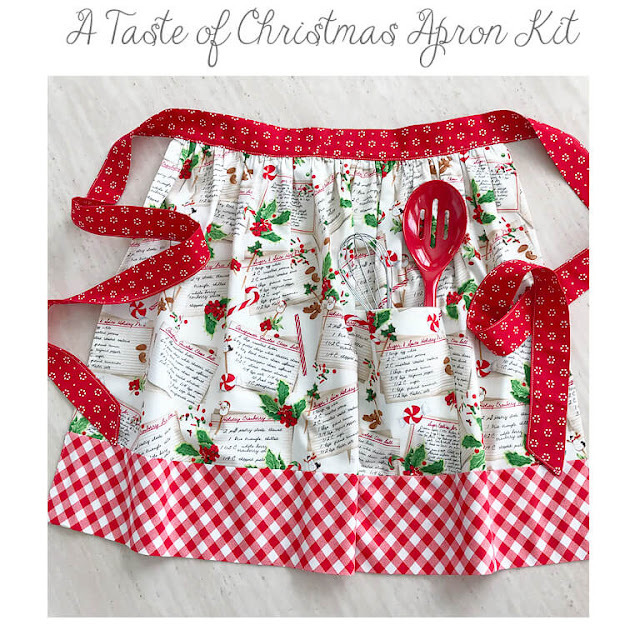 We also have this sweet Apron kit available in matching fabrics! 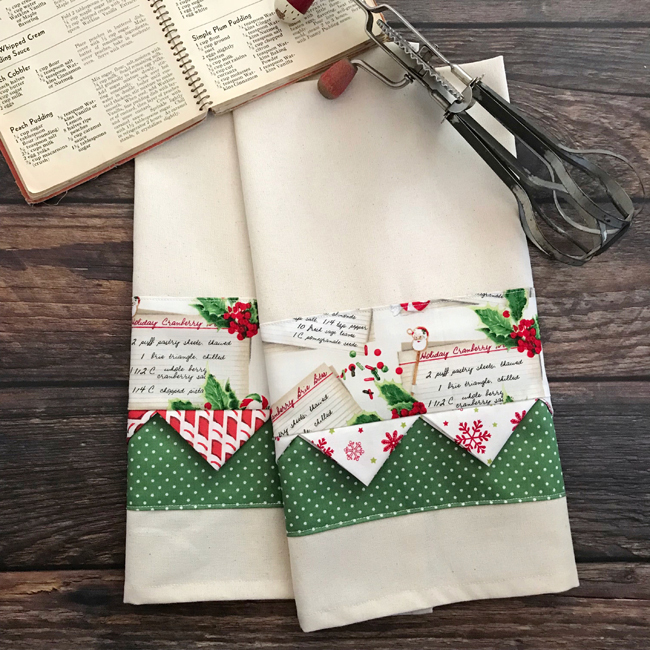 This apron would also be a lovely gift for a loved one for Christmas! I hope you enjoyed all of today's cute projects! Stop by next week for another bundle and project! Lindsey, I love your table topper! I have Jera's new book also, I will definitely be making one for myself!